Saffron is not commonly used in Armenian cuisine, so why am I even writing about it? Here’s my story: In 1969 to 1970, I attended Chico State College, CA for one year as a domestic exchange student. My roommate, Giety, was from Iran. We got along famously, but went our separate ways at the end of that school year. I’d been trying to find her, on-and-off, for the past 40 or so years, when I accidentally found her through Facebook. As I suspected, she is married and has a different last name, but that, too was mentioned on FB. So, through the miracle of modern technology, I was able to find her address and send her a letter (the old-fashioned way). Much to my delight, Giety called me a few days after I mailed the letter. We laughed and cried for a few moments, attempting to make up for lost time. Giety periodically returns to Iran, often shopping in the marketplaces in the Armenian district of her hometown. She sometimes brings back spices, and offered to send me some saffron – a truly generous gift. 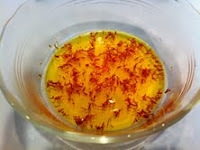 Upon the arrival of the saffron, I was bound and determined to find a recipe to prepare. 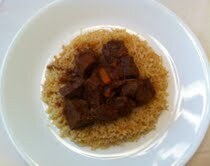 What I chose to make was Lamb Tagine, which I adapted from a recipe found on www.allcooking.com. Now that we've re-connected, Giety and I promise to do a better job of staying in touch. 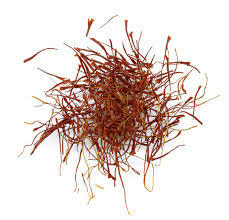 For some interesting facts about saffron, please click here. For more information about tagine, click here. 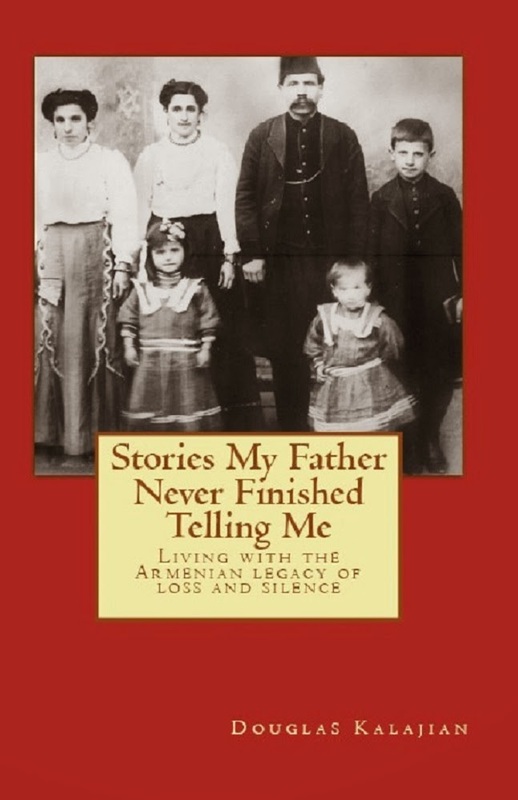 I have a friend of Armenian descent who was reminiscing about a favorite dish his mother made when he was a child. His mother died several years ago and he sincerely regrets her recipe had not been handed down. His regret touched my heart & inspired me to research recipes. In finding this recipe with the numerous spice ingredients, it seemed like a fail-safe formula. With my confidence bolstered, I invited my friend to dinner with a no-guarantee disclaimer that this dish could ever remotely resemble the dish his mother had made, but it would be my best effort tribute to her memory. From the moment he walked in the door, the mere aromas of this tangine brought tears of familiarity to his eyes. Miraculously, this meal was a fantastic success in living up to his childhood memories! Such a joy to all of us. It is now one of my favorite dishes and one my friend requests every chance he gets. 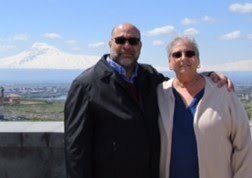 I learned a lot about Armenian cooking and culture along the way. Thank you so very much for sharing this spectacular recipe! I encourage everyone to try it. I am truly touched by your warm and moving comment! A million thanks!